Fragrant herbs and spices such as ginger are some of the most powerful weapons we have to help combat inflammation from a nutritional perspective. Inflammation causes or contributes to obesity, diabetes, cardiovascular disease, Alzheimer's disease and many types of cancer, as I wrote in a recent review that appeared in Nutrition in Clinical Practice. Aromatic ginger is a superstar of traditional medicine in Asia, where it has been treasured for thousands of years for its amazing flavors and impressive health benefits. Ginger contains dozens of the most potent inflammation fighting substances known, phytonutrients called gingerols. Japanese researchers writing in the Journal of Medicinal Food explain that red ginger (Zingiber officinale var. Rubra) is used in Indonesian traditional medicine as a painkiller for arthritis. In research done over the past 30 years, science has found support for the anti-inflammatory properties of ginger, according to a review published in the Journal of Medicinal Food. The authors note that one early study compared the medicinal potential of ginger to non-steroidal anti-inflammatory drugs (NSAID's). Common examples of NSAID's include Advil, Motrin, Aleve and aspirin. It found that ginger, like the NSAID's, inhibits the enzymes cyclooxygenase-1 and cyclooxygenase-2. (Cox 1 and 2). Further discoveries revealed that an extract of ginger (Zingiber officinale) inhibits several genes that contribute to inflammation. As I explain in my book "Power Healing," ginger contains over four hundred chemically active ingredients and has been used traditionally for digestive complaints. It may protect the stomach from ulcers and has a wide range of parasite-fighting abilities. Studies indicate that ginger may be helpful for nausea, and migraine headaches. What is Ginger and How is it Used? Ginger is a rhizome, and is akin to a carrot with multiple stems. It is remarkably simple to use. It is available as a powder which can add instant flavor to favorite dishes such as soups and chili. In addition, fresh ginger is available here to be used sliced or grated and cooked. Ginger is adding international style and flair to dishes in fashionable restaurants, so why not bring some of that great flavor home to your kitchen? After these tips, please see below for a recipe featuring ginger. Ginger is used often in Chinese cuisine, where it gives dishes a touch of spiciness. In the U.S., ginger is widely available as a powdered spice, and this makes a handy pantry item. Fresh ginger provides even more flavor and aroma and can be found right in your supermarket. Look for fresh ginger that is firm to the touch and not wilted, dried out or moldy. Choose fresh ginger that is organically grown in the U.S.
To use fresh ginger, remove the dark peel and cut a section of the light colored root. Finely chop the ginger and it is ready to use in recipes for cooked dishes. Fresh ginger tea can be made by adding finely chopped ginger to boiled water, letting it steep for 2-3 minutes, and then straining out the ginger. And don't forget about including anti-inflammatory foods like ginger in your routine. Here is a recipe featuring ginger from my book, The Fat Resistance Diet, an anti-inflammatory program. Here is a family style recipe that uses several powerful anti-inflammatory ingredients, and features cruciferous veggies and antioxidant-rich beans. 1. In a large heavy-bottomed pot, heat the olive oil over medium heat and add onion, garlic and ginger. Sauté for about 5 minutes on medium. Add crushed tomatoes, water, turmeric, cumin, cardamom, salt and black pepper, stirring to mix. 2. Add the cauliflower, beans and peas, stirring to coat with sauce. Cover pot and simmer for 7-8 minutes, until cauliflower is fork tender. Add parsley, stirring to combine, and then serve over rice, quinoa, or millet. Serves 4. I hope you enjoy the healthy pleasure of ginger this springtime. Get free recipes and more information at fatresistancediet.com. Do you suffer from pain or inflammation? Important: Celebrate Healthy Eating with your friends and family by forwarding this article to them, and sharing on Facebook. 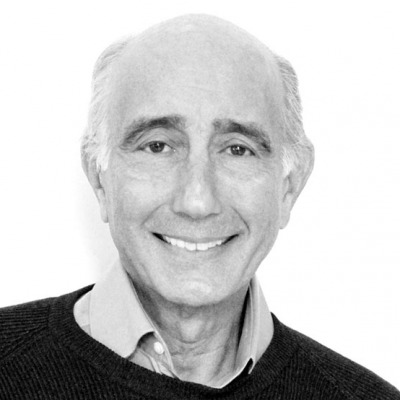 Leo Galland, MD is a board-certified internist, author and internationally recognized leader in integrated medicine. Dr. Galland is the founder of Pill Advised, a web application for learning about medications, supplements and food. Sign up for FREE to discover how your medications and vitamins interact. Watch his videos on YouTube and join the Pill Advised Facebook page. Recipe by Jonathan Galland from The Fat Resistance Diet © 2005 Leo Galland, M.D., Reprinted by permission of the author. J Med Food. 2005 Summer;8(2):125-32. "Ginger-an herbal medicinal product with broad anti-inflammatory actions." Grzanna R, Lindmark L, Frondoza CG. Int J Cardiol. 2009 Jan 24;131(3):408-9. Epub 2007 Nov 26. "Ginger (Zingiber officinale Roscoe): a hot remedy for cardiovascular disease?" Nicoll R, Henein MY. J Med Food. 2010 Feb;13(1):156-62. "Anti-inflammatory properties of red ginger (Zingiber officinale var. Rubra) extract and suppression of nitric oxide production by its constituents." Shimoda H, Shan SJ, Tanaka J, Seki A, Seo JW, Kasajima N, Tamura S, Ke Y, Murakami N.